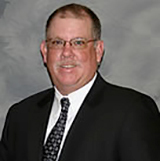 Meet Terry O’Reilly, an investment advisor for Barlas & Chambers, LLC, in Tarpon Springs, Florida. O’Reilly retired from law enforcement and pursued a second career as a financial advisor. He serves police officers within the Florida State Retirement System. “After I retired from the sheriff’s office, my wife said I couldn’t just play golf for the rest of my life,” says O’Reilly. “So I got into financial planning. That was five years ago.” His certifications include the Accredited Wealth Management Advisor from the College of Financial Planning. O’Reilly often faces skepticism from his law enforcement clients, but he has learned to earn their trust. “Cops are not very trusting, so you need to show them something in black and white,” he explains. “They’re impressed when I give them a TRAK report, and it allows them to make an educated decision. They can trust the recommendations because everything is on the table.” O’Reilly often uses TRAK’s Gap Analysis, which calculates various defined benefit pension plan options, and includes many cash balance options (DROP, PLOP, PLS, etc.). O’Reilly also appreciates the tax planning features of TRAK. “Our office completes about 2,000 tax returns a year, so I can walk down the hall to get my clients’ tax planning done. TRAK’s 1040 Analysis helps me show clients multiple options for investing their refunds, such as using the funds to buy universal life insurance,” he explains. TRAK’s 1040 Analysis is part of the Paycheck Calculator and it allows an advisor to set the federal refund value.